Louis Nirenberg is one of the mathematical giants of the second half of the twentieth century. 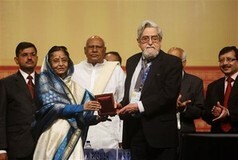 A world scientific leader, a prolific problem solver, a committed educator, and an outstanding human being, Louis Nirenberg has contributed enormously to the development of the mathematical sciences throughout the world. His legendary lectures, numerous expository articles and clear writing continue to inspire generations of mathematicians. His dedication to the mentoring of students from all over the world is unmatched. His 46 PhD students have in turn trained more than 180 mathematicians in more than 30 countries. All of them pride themselves for being his intellectual “descendants”. It is very rare in the world scientific community to come across a person like Louis Nirenberg, and Canadian mathematicians from coast to coast are proud to claim him as one of their own, since he was born in Hamilton, raised in Montreal, and had obtained his undergraduate degree at McGill before he joined NYU. 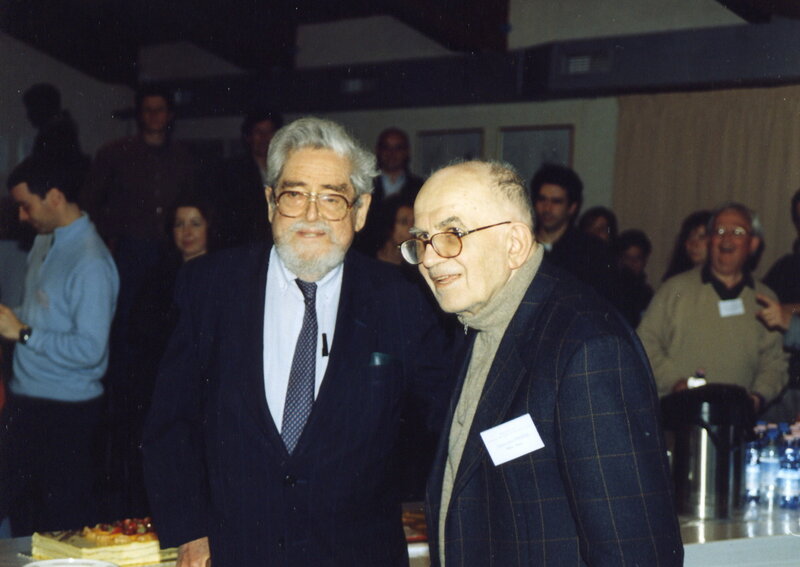 For his accomplishments, Louis Nirenberg has received many honors and awards during his career, including the Bôcher Prize, the Jeffery-Williams Prize, the Steele Prize, and the first Chern medal. He is a member of the National Academy of Sciences and the American Academy of Arts and Sciences, and is a foreign member of many distinguished academies of sciences, including the French Academy of Sciences. He has honorary degrees and honorary professorships from a number of universities around the world. In 1995, Louis Nirenberg received the National Medal of Science, the nation’s highest scientific honor, from President Clinton in a White House ceremony. In 1982 the King of Sweden presented Professor Nirenberg with the Crafoord Prize, which was established by the Royal Swedish Academy of Sciences as an equivalent to the Nobel Prize for scientific research in areas outside of existing Nobel categories.